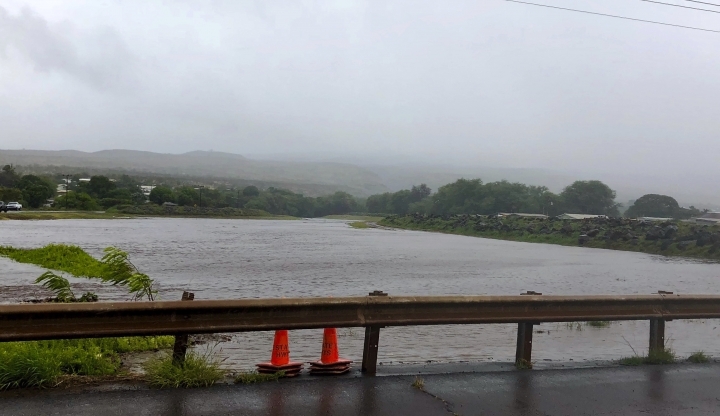 Maui County says several homes are being evacuated because of floodwaters from Tropical Storm Olivia. 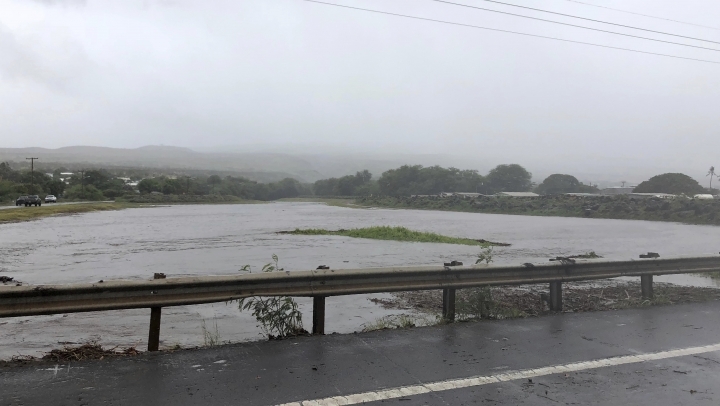 The county said on its Facebook page Wednesday that several homes on Lower Honoapiilani (Ho-OH-pee-ee-lah-nee) Highway are being evacuated because of rising waters in a nearby river. Another home in the Waihee (WAI-heh-eh) Valley is being evacuated. Olivia is 110 miles (175 kilometers) southwest of Honolulu. It's moving west with maximum sustained winds of 40 mph (65 kph). The National Weather Service has canceled a tropical storm warning for Oahu and Maui, but says some areas will continue to get heavy rain for the next day. Tropical Storm Olivia made landfall a second time as it crossed Hawaii with heavy rain and strong winds. The National Weather Service says the storm came ashore the second time in the northeast corner of Lanai island. 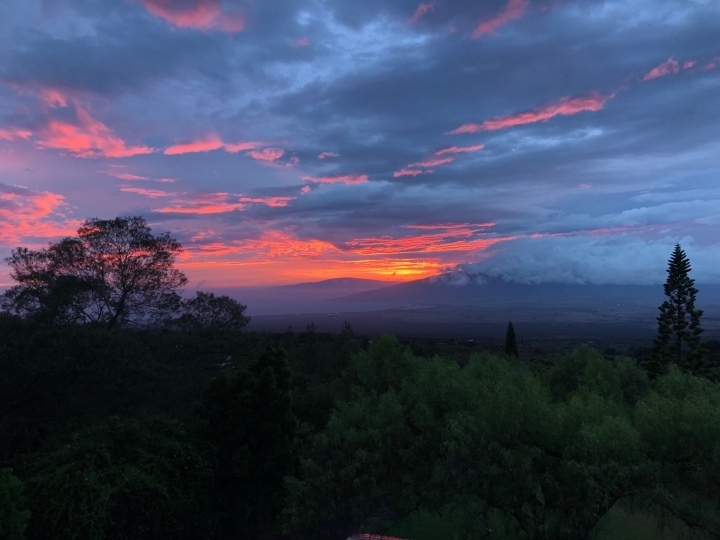 Earlier in the morning, it made landfall on the windward coast of the west Maui mountains. Olivia is now 45 miles (75 kilometers) south of Honolulu and packing maximum sustained winds of 40 mph (65 kph) as it moves west. Flash flood warnings have been issued for Molokai (MOL'-oh-kye) and Maui. Forecasters say 5 to 10 inches (12 to 25 centimeters) of rain could fall in the state, with some areas getting as much as 15 inches (38 centimeters). A rain gauge on Maui has recorded nearly 8 inches of rain as Tropical Storm Olivia lashes Hawaii. Olivia is 40 miles (60 kilometers) west of Kahului and 60 miles (95 kilometers) east of Honolulu. It has maximum sustained winds of 45 mph (75 kph). Molokai resident Willie Morelock says the island is starting to feel the effects of the storm. He says it's windy and raining. Meteorologists say Tropical Storm Olivia has made landfall in Hawaii on the windward coast of the west Maui mountains. The Central Pacific Hurricane Center said Wednesday the location is about 10 miles (16 kilometers) northwest of Kahului. The storm is packing maximum sustained winds of 45 mph (75 kph) as it moves west over Maui. Flash flood warnings have been issued for Molokai (MOL'-oh-kye) and Maui. There's a flash flood watch for the rest of the state. This item has been edited to correct the flash flood warnings are only for Molokai and Maui. Businesses are up and running in eastern Maui, the part of Hawaii expected to take the brunt of approaching Tropical Storm Olivia. Hasegawa General Store in Hana opened normally at 7 a.m. Wednesday. Owner Neil Hasegawa says he decided to open despite steady rain overnight. He says the store lost electricity at around 7:30 a.m. and is running on generators. Hasegawa says he was bracing for Hana to take a big hit from Olivia. He says he's feeling a little some relief because the rain isn't as hard as he expected. But he says, "We're not out of the woods yet." The state Department of Transportation says crews have cleared a landslide on Hana Highway. The department says there are some trees down on the highway. Hasegawa says he wasn't aware of the road issues and people are mostly staying off the highway. Tropical Storm Olivia is getting closer to Hawaii. The Central Pacific Hurricane Center says Wednesday morning that Olivia is about 25 miles (40 kilometers) east of Kahului on the island of Maui. It's about 115 miles (185 kilometers) east of the state's capital city of Honolulu on the island Oahu. Storm warnings remain in place for the islands of Oahu, Maui and other smaller islands but have been canceled for the Big Island and Kauai. Meteorologists say Olivia is expected to produce rainfall accumulations of 5 to 10 inches (13 to 25 centimeters) in some areas, with isolated maximum amounts of 15 inches (38 centimeters) possible. Up to 6 inches (15 centimeters) of rain has already fallen over parts of Maui. Maui Councilwoman Yuki Lei Sugimura says she's bracing for more rain. She says, "It's not over yet." 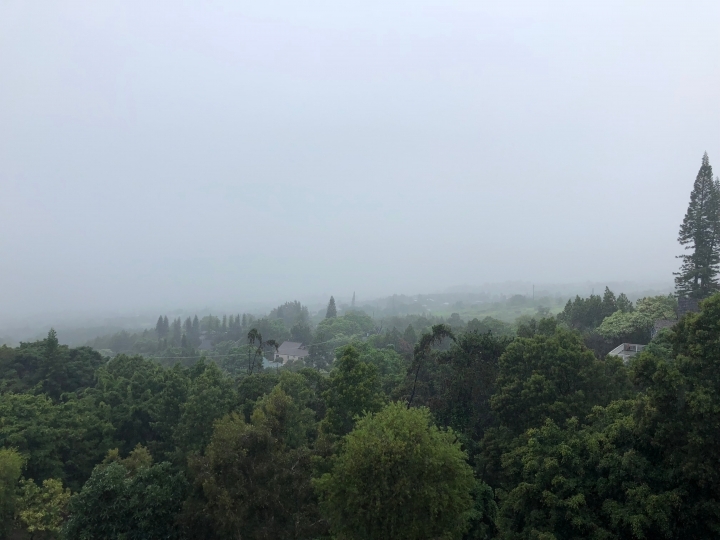 A local Maui government official says there's steady rain and fog outside her home on the slopes of Haleakala (hah'-leh-AH'-cah-lah) mountain. Maui County Councilwoman Yuki Lei Sugimura says Tropical Storm Olivia is bringing more rain to the island Wednesday than Hurricane Lane did last month. She says she's bracing for more rainfall. Heavy rain has been reported on Maui and the northern part of the Big Island as Olivia passes through Hawaii. Storm warnings were in place for the islands of Maui and Oahu but have been canceled for the Big Island and Kauai. The Central Pacific Hurricane Center says Olivia is 55 miles (90 kilometers) east of Kahului, Maui. It's about 140 miles (230 kilometers) east of the state's capital city of Honolulu, where there's intermittent rain. Heavy rain has been reported on Maui and the northern part of the Big Island as Tropical Storm Olivia passes through Hawaii. Storm warnings were in place Wednesday for the islands of Maui and Oahu but have been canceled for the Big Island and Kauai. National Weather Service meteorologist Melissa Dye says small islands around Maui also are being impacted. A flash flood warning has been issued for Molokai (MOL'-oh-kye), and a wind gust of 51 mph (82 kph) was reported overnight at the airport on Lanai. She says sustained winds of 20 to 30 mph (32 to 48 kph) have been reported at many locations in Maui County. Winds should stick around for most of Wednesday, and Dye says it will rain on Maui for several days. The storm is also expected to later impact the most populated island, Oahu. Dye says some showers were moving across the island Wednesday morning. Maui is hunkering down for heavy rains and powerful winds as a gradually weakening tropical storm barrels toward Hawaii. Forecasters said Tropical Storm Olivia could dump 5 to 10 inches (12 to 25 centimeters) of rain on the islands, with some places getting as much as 15 inches (38 centimeters). 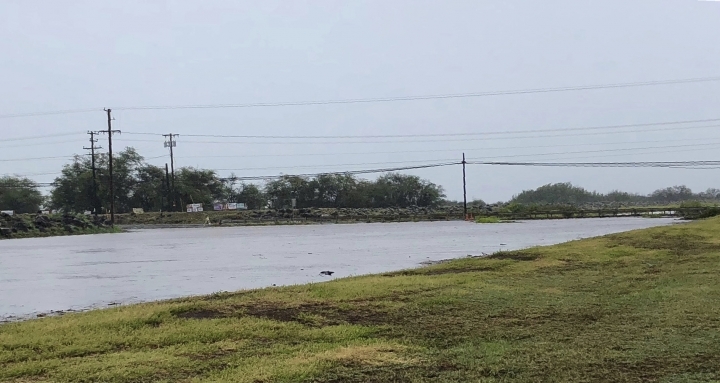 Maui Mayor Alan Arakawa is urging residents to store drinking water and warned that they should plan for power outages, landslides, high surf, fallen trees and flooded roads. Honolulu is hoping it will be spared the worst. Honolulu Mayor Kirk Caldwell says city offices will be open as usual. City buses also will be running normally so long as winds aren't too powerful. Olivia was a hurricane earlier this week, but has been slowly losing power as it gets closer to Hawaii.